Healthifit is a personal training gym located in beatiful Cardiff by the Sea. We are located a block from the beach and offer thirty minute training sessions tailored to your schedule. Betsy Trefren, the owner has been ACE certified since 1996 and continues wellness and fitness education on a daily basis. 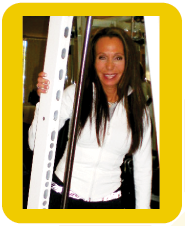 Betsy began incorporating strength training into her life at the age of thirteen. Her passion started young, and she knew that she wanted to build a lifestyle and career around health and fitness.In the 1980′s Betsy was an aerobics instructor, which included bringing her boom-box and her instructor talents into people’s homes to for private aerobic instruction. Her positive energy and enthusiasm drove the business. After the Aerobics boom, clientele transitioned into the gym scene, so naturally Betsy went to the gym. She was the only female trainer in a predominantly male environment. In addition to becoming a personal trainer, she built a passion for weight training and nutrition. She became inspired to compete in natural body building and she did so for two years. During her training she learned a tremendous amount of knowledge about human physiology and metabolism. Betsy’s greatest teachers were her trainers, and as a result of that she became a trainer. Today, she states her greatest teachers are her clients. After spending five years at the gym, Betsy decided to bring it home; literally, by building a private home based gym. Her clients wanted the privacy and wanted to work out in an environment with less distraction. In building her private practice, Betsy kept asking her clients, “What’s important to you?” The feedback she received centered upon having less stress, less illness in their lives and having more endurance and strength as they age; all over general wellness. 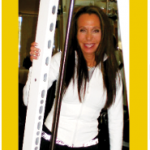 Betsy’s goals are to give her clients what they ask for and to create an individual lifestyle program for each person. Betsy’s goals today are centered around working with her clients to achieve wellness and fitness in all aspects of their lives.